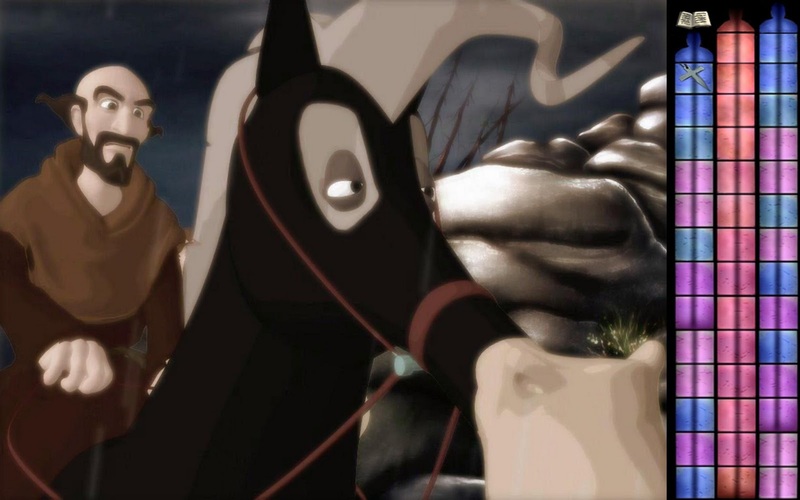 Luckily I recently had a chance to do a lot of watching, back seat driving, and even a little playing of Stacking, the new game by Tim Schafer and Double Fine Productions for the PS3 and Xbox 360. 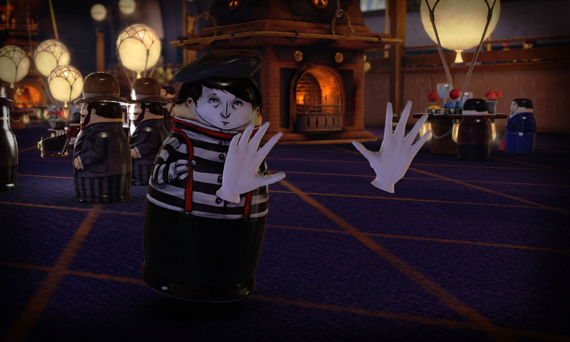 It is a humorous 3D puzzle platformer that really lives up to Tim Schafer's reputation, and I believe that it is potentially just as good as any of his other masterpieces. 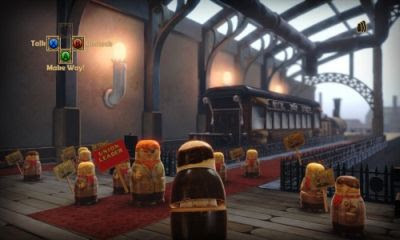 In the game you and the rest of the population are Russian stacking dolls that all have some special, often strange, abilities. You are the smallest doll, Charlie Blackmore, which you use to stack with any other doll, incrementally one size up at a time. When stacked with other dolls you control the top most doll, but you can unstack at any time to combine abilities or just to stack again with smaller dolls. This stacking mechanism is used to solve puzzles around the game world, which have some unique attributes themselves. Every puzzle in the game has multiple ways of solving it and instead of hiding how many different ways and only allowing you to do each puzzle once you are told exactly how many ways each puzzle can be solved and you progress in finding all the solutions is recorded, but solving it more then one way is never required. This can be really great for people who like to get 100% completion in games, and can add a lot of content and playtime. The first thing that should hit you about this game is its graphics. The graphics are simply amazing and realistic; With all the dolls, and their are a lot of them, being very detailed and beautiful. 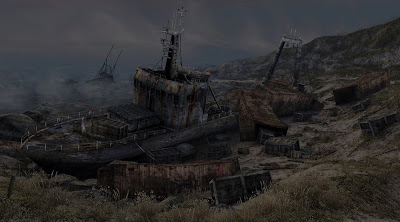 The environment is also great and unique and is a combination of steampunk and industrial age architecture and art. 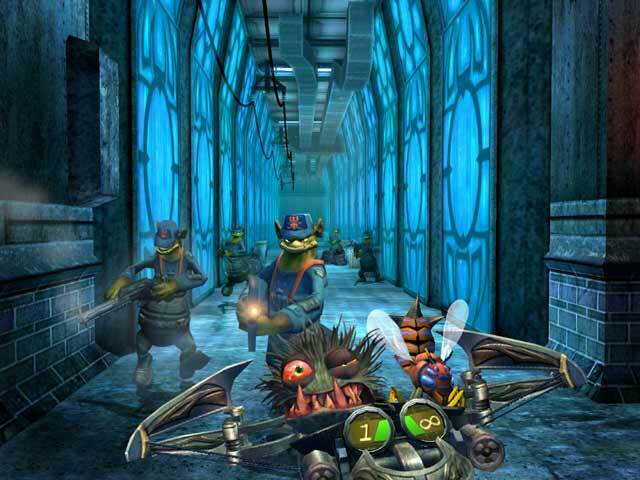 But what really makes it seem like a Tim Schafer game is the story and the script. 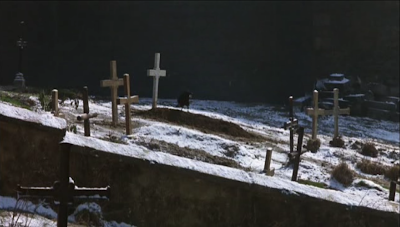 The storyline is presented like a silent film and concerns the Baron enslaving the Blackmore family and many other children and Charlie Blackmore's quest to free the children and his family. While this story is interesting my favourite part is the script of many of the smaller out of the way characters. These unnecessary conversations can be simply hilarious and one of my favorite parts of the game was simply stopping and watching a conversation between some unimportant characters. 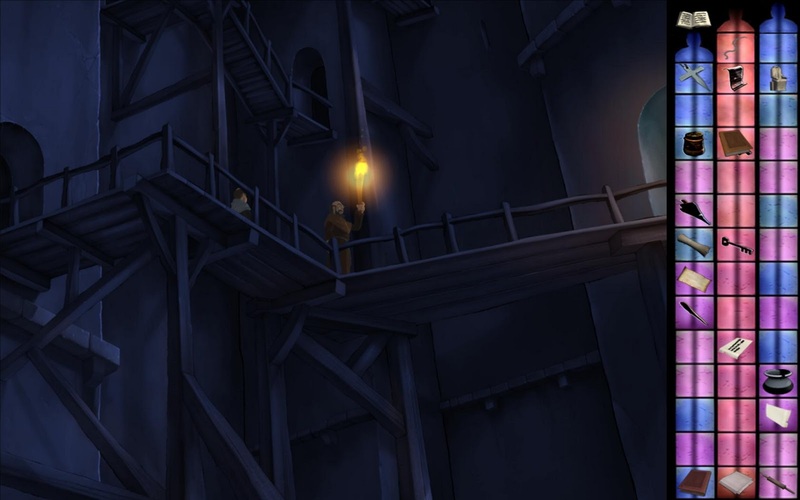 Also their is an attention to detail and a continuity and uniformity that really makes Tim Schafer's worlds come alive and seem real no matter how fantastical they are, which this game has in oodles. 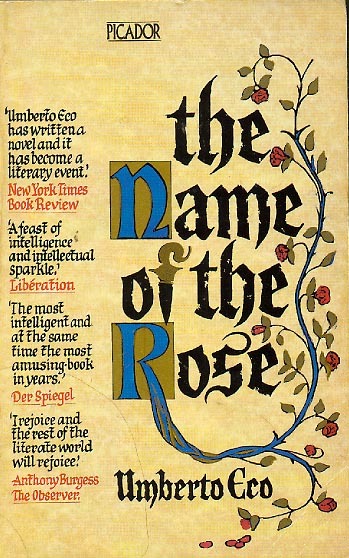 The Name of the Rose was originally a novel written by Umberto Eco. It tells of a historical murder mystery set in a Italian abbey in 1327 and of William of Baskerville's search for the truth accompanied by his novice Adso of Melk. In addition to the book their are many other works that have been based on the story. One of the best adaptations in my opinion is the 1986 film by the same name; This film is one of my all time favourite films and very accurately portrays the original story. 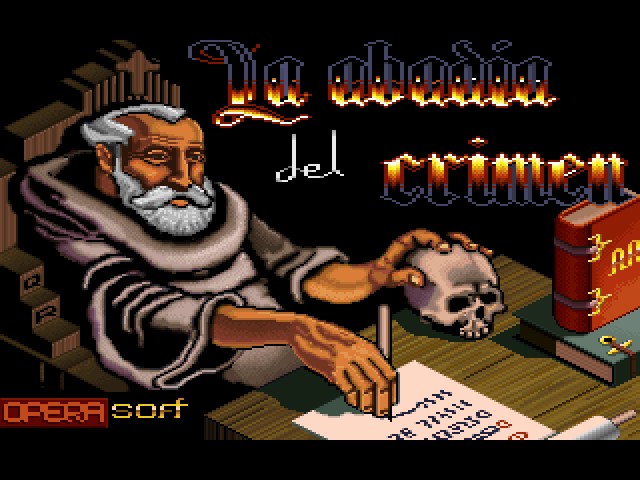 Another adaption considered to be very good is called The Abbey of Crime and was originally released for the Amstrad CPC 6128 but has since received many ports to both old and new hardware. 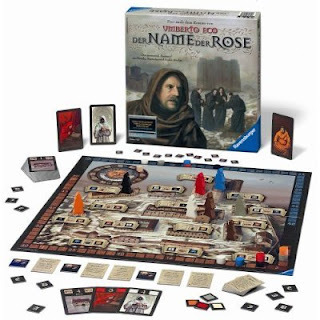 Less illustriously their are also numerous plays, a boardgame, and a 2008 graphical adventure game titled The Abbey. 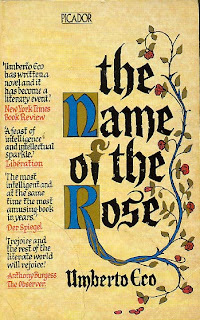 What started my love affair with The Name of the Rose was the film; Which I liked so much that I searched out the other media. So in addition to the film I have read the book and played both of the video games. In this article I plan on discussing these adaptions and the original work. So where else to start but at the beginning with the novel. It is 1327 and Europe is clouded with superstition and filled with the poor and religion and the inquisition rain supreme. 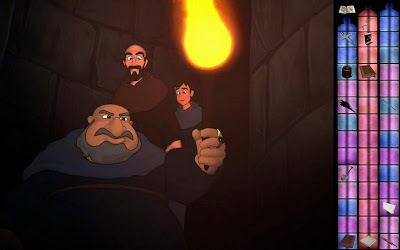 William of Baskerville, a Franciscan friar, and his young novice Adso of Melk are travelling to a remote abbey to take part in a debate between representatives of the pope and of the Franciscans; The Franciscans are arguing that Jesus advocated poverty and so the church should not horde wealth, an opinion that that pope feels is heretical (as the church has one of the biggest concentration of wealth in the world). Arriving at the abbey they learn that a monk has just died under suspicious circumstances and that the devil is suspected. Because William is renowned as a investigative genius he is soon asked to investigate this death. William approaches the investigation, and all of life it seems, with an unusual logic and an almost omnipotent gaze that seems to pick up on the details other men miss. In this he is very much like Sherlock Holmes, with Adso taking the place of Watson. William soon uncovers the circumstances of the death but that only leads him to a larger more sinister mystery as more people start dieing. The movie is by far the most accurate adaptation of the plot, and also simply a great movie. 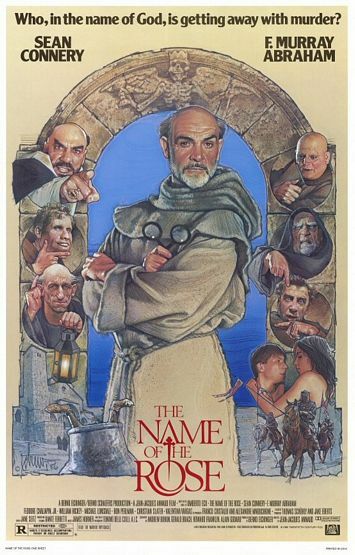 It stars Sean Connery as William who portrays his part very well, along with the other less famous actors. I am a pretty big movie fan but The Name of the Rose (1986) is actually my favourite film of all time. Their do not seem to be any noticeable differences from the novel, other then the absence of some of the less important scenes. 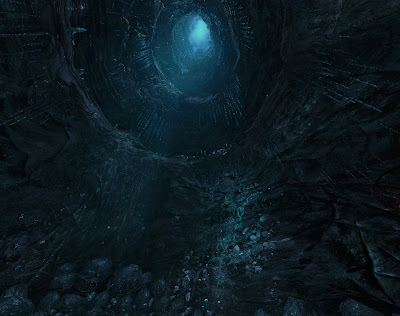 And everything in the film just looks right, I completely believe that that place could of existed, their is not a single element that did not seem right. And in its visuals I think their is even an improvement over the novel, as a description can only go so far; Actually seeing the dirty and squalid conditions that was the everyday life of the peasants in scene after scene really adds to the stories' impact. The Abbey, or Murder in the Abbey in north America, is a third-person point and click graphical adventure game based on the plot of The Name of the Rose. But in this case loosely based, and it really does not even follow any of the basic themes, it simply has some very specific similarities. So it is not really an adaption so much as that it steals some chunks of plot from the original story. I have never been a fan of unnecessary changing adaptions, and would always prefer a completely new idea to a completely changed old idea, but in this case it actually makes sense (they wanted to mitigate the possibility of getting sued for copying Umberto Eco's work). Compared to the original work The Abbey really seemed uninspired and simple, but held up on its own it really is not a bad game; Actually, I would say it is a decent game. One of the best parts of the game is its nice cartoon graphics that really make the game look like a children's movie, which I have not seen done before quite so well in game. The problem is that it also emulates some of the less appealing parts of some children's stories, which is to say the absence of some common sense and realism. 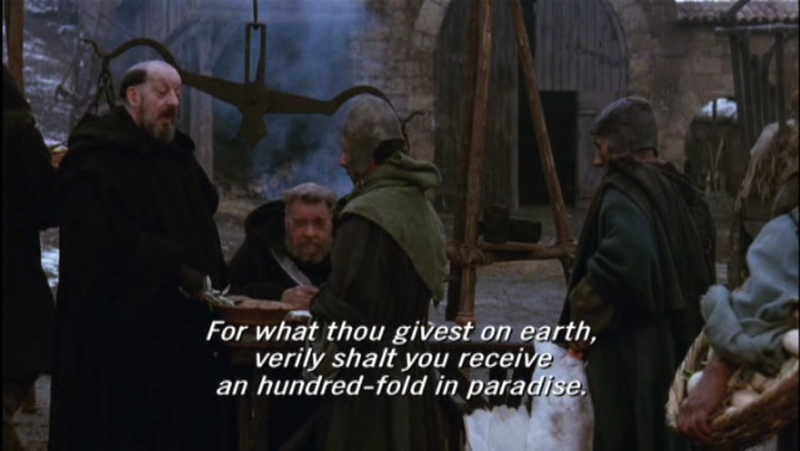 While some parts of the game stick to the realistic importance and strictness of religion in this medieval world, huge parts of it completely ignore this with the protagonist often committing sins without batting an eye and with sometimes no one else even batting an eye. But one of my biggest problems with the game is the novice. 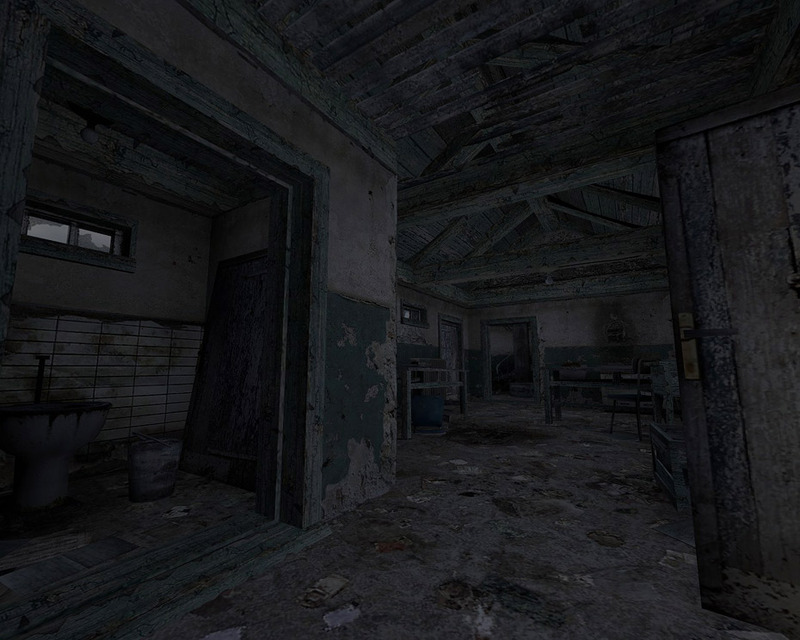 In The Abbey the novice is portrayed as someone with obvious and extreme mental disabilities, or retardation; It seems like they made him like this to add a few laughs the the game, but personally I thought they went far too overboard and it was not funny in the least. Additionally, he is treated very strictly by his master, the protagonist and named Brother Leonardo in this game, and often forced to go against his conscience to preform sinful actions and constantly and harshly berated. All of this really makes Leonardo look like a egotistical bully, and I do not even think that it was intended by the developers. Unfortunately, the flaws in the game are not limited to the script. Their is also a very annoying issue with the camera/visuals in some situations. For one, when you are trying to open the Hospital door the keyhole is completely invisible, even though you have to find it to open the door; And earlier in the Abbott's office the camera does not swing to show you the inside of a cupboard even though you must take items from it. The Abbey of Crime, originally La Abadía del Crimen, is an isometric graphical adventure made for the Amstrad CPC 6128 in 1987 but was ultimately ported to the ZX Spectrum, MSX, MSX2, Amstrad CPC 464, Game Boy Advance, Java, Dreamcast, Spectrum, Linux-X86, Linux-PowerPC(PS3), PS2, WindowsXP , Mac_OSX, and PC Windows. 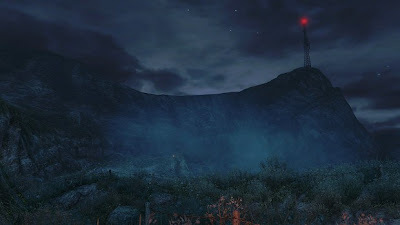 The game is apparently considered one of the best of its era and for the most part the game seems to follow the general plot of the novel, but does not seems to get too involved in the details. But to be honest it seems to be too old of a game for me to be able to play and enjoy it. 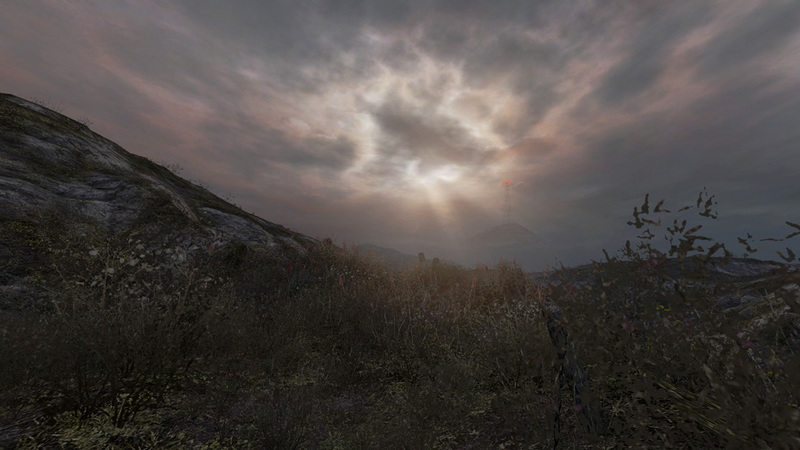 For one even though the environment is moderately small and the game is played through a third-person perspective the screen changes its orientation for every area making orienting ones-self nearly impossible. Additionally, it seems that the most challenging parts of the film are mundane tasks that are only made challenging because of lack of instructions. Throughout the game you have to watch your obedience meter which depletes whenever you do not imitatively follow the rules and orders of the abbot, and when this reaches zero you have lost the game, but their are some rules that when broken will immediately land you a game-over. 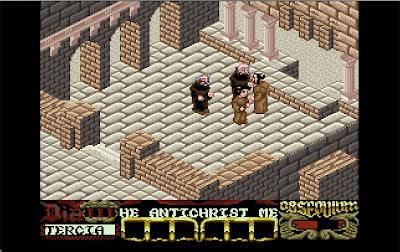 Right off the bat, seconds into the game, you must follow the abbot; The only problem is that the abbot walks at full speed and the controls are rather clunky so any mistakes, which you will make, will cause the abbot to turn around and scold you (taking some of your obedience bar for good measure). After this, and repeatedly throughout the entire game, you must attend mass and meals which require you to stand at very specific locations that are not told to you before hand. Which leads me to my other complaint, far too much time is spent at masses and meals; Every 5 to 10 minutes real time you much rush to the imminent mass/meal and if you miss it, guess what, you instantly lose the game. This is far too much time dedicated to a completely useless activity. And when not attending or walking to a mass their is absolutely no direction given to the player. Even with a walkthrough I was not able to make it far into the game, how anyone is supposed to play (let alone enjoy it) it is beyond me. Ben304 has just released his a new gaming masterpiece airwave part 1, or more fully ~airwave~ - I Fought the Law, and the Law One; At least I assume it will be a masterpeivce based on his track record. Other then that it is a 2D AGS adventure game I really do not know much about it. 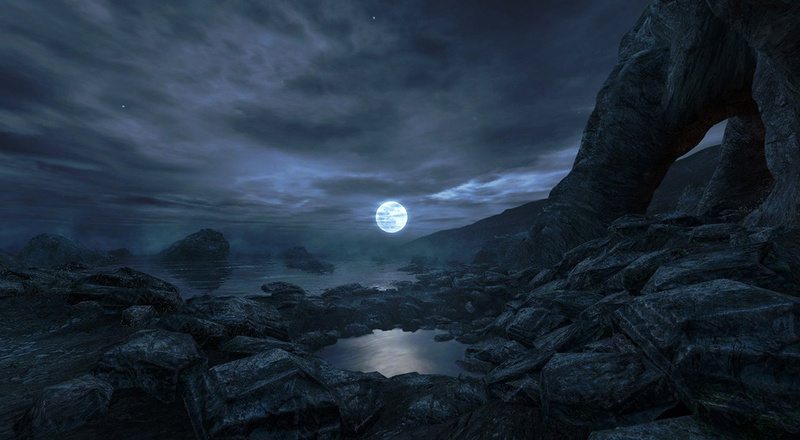 The Dear Esther remake, a indie game I have been following for awhile now, recently made a huge announcement on its development blog. 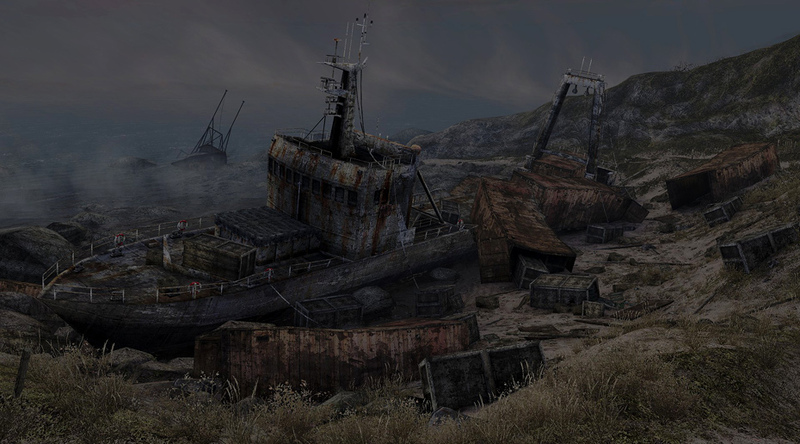 It is getting a full commercial Steam release in the summer of 2011. Along with this announcement comes the launching of the games website. OK, so time for some back-story. Dear Esther is a 2008 art exploration Half-Life 2 total conversion mod made by Dan Pinchbeck, a game and interactive media teacher at University of Portsmouth, UK. 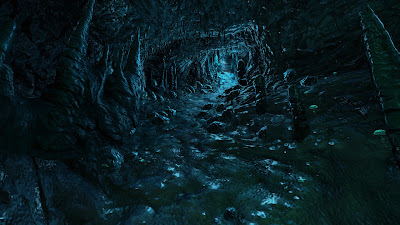 It received almost universal prise for its deep and unique story, music, and beautiful environments. 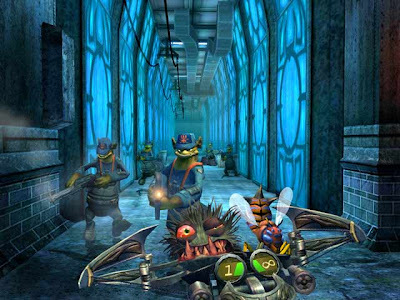 Almost immediately after the release of the original game this remake has been in the works. This remake is a total redoing of the entire game: improving the graphics, redoing the music, and I believe changing all other aspects of the game as well. I cannot over-stress how much I am looking forward to the game; It simply looks and sounds fantastic. Finally got my copy of Magicka to work, and it was as easy as having it run in Windows XP SP3 compatibility mode; Which is embarrassing that I had not tried that before, but also a little surprising that a brand new game only works if you emulate an old OS. Anyways, since I have now completed the game (and am playing through it a second time) I thought I would do a full review on it. 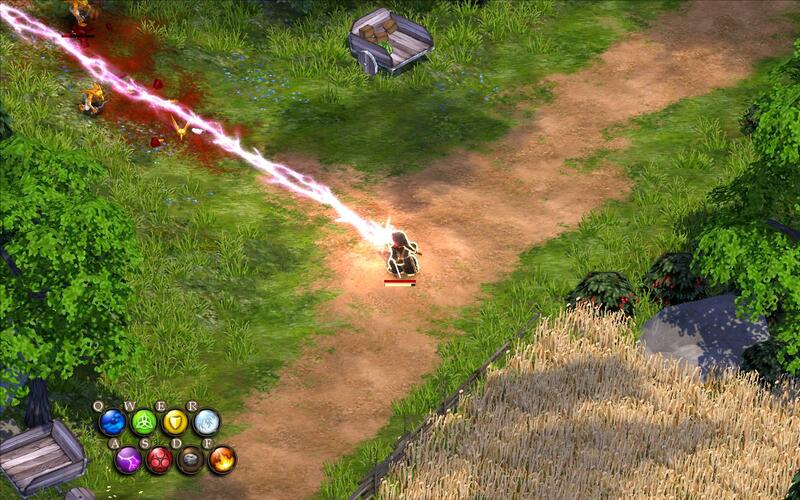 Magicka is, of course, a third-person, heavily coop oriented. action adventure. The general idea is that you combine different elements on the fly to create custom spells that you launch at the enemy. Alongside this free-form spell creation are a few set special spells that need to be found (in the form of books) to unlock. 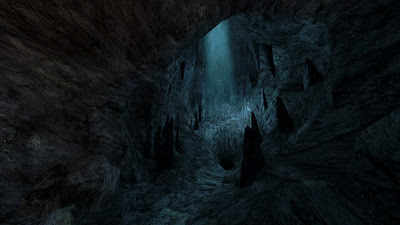 These are typically more unique, and feature spells such as teleport, blizzard, and summon elemental. 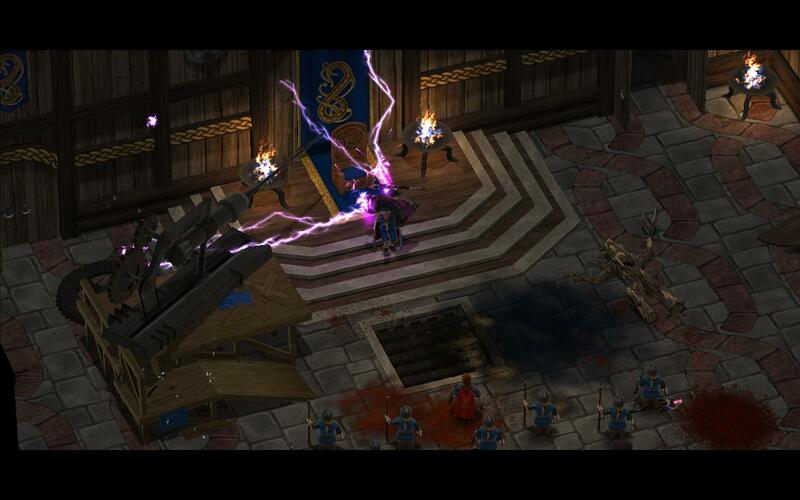 Additionally, your mage carries a staff and a weapon. 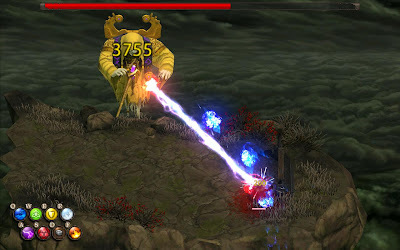 The weapon, typically melee will have a damage, speed, and potentially a special ability associated with it (for example knockback, or set ablaze). 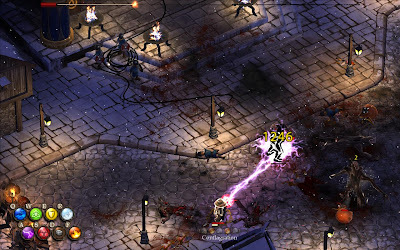 The staff is far more interesting can can even shape how you play the game; They have both active and passive abilities, for example a staff might give you longer lightning as a passive ability and the ability to launch a lighting beam for an active ability. One part I skipped over completely in my partial review was the story. Which would really of been a tragedy if I was not righting this absence right now. The story of Magicka is set in a classical fantasy world filled with goblins, magicians, trolls, vampires, warriors, and peasants. This world is wholly humorous (and oh so successfully so), a little silly, and full of references to other video games/movies. It is simply the funniest, and funnest, world I have played in in quite some time. 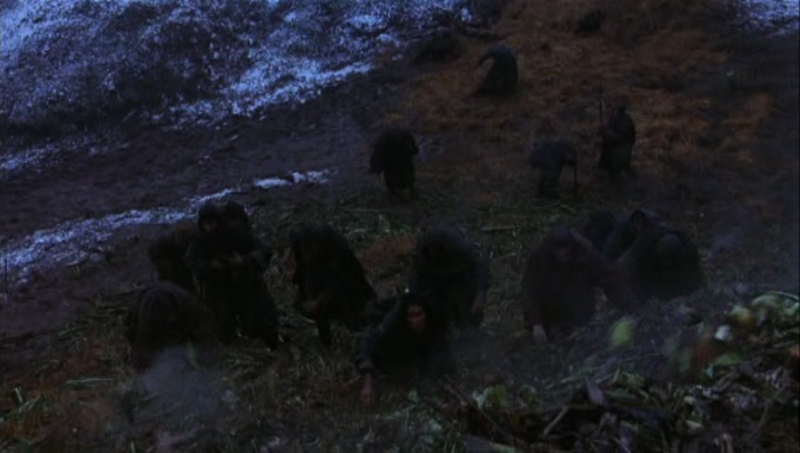 One particular example of this funny/silly atmosphere really stands out for me, and this is one of the references to a movie; Included in the game is the M60 fully automatic machine gun from Rambo, this is the only ranged weapon usable by a player and it just looks ridiculously out of place in the fantasy setting. 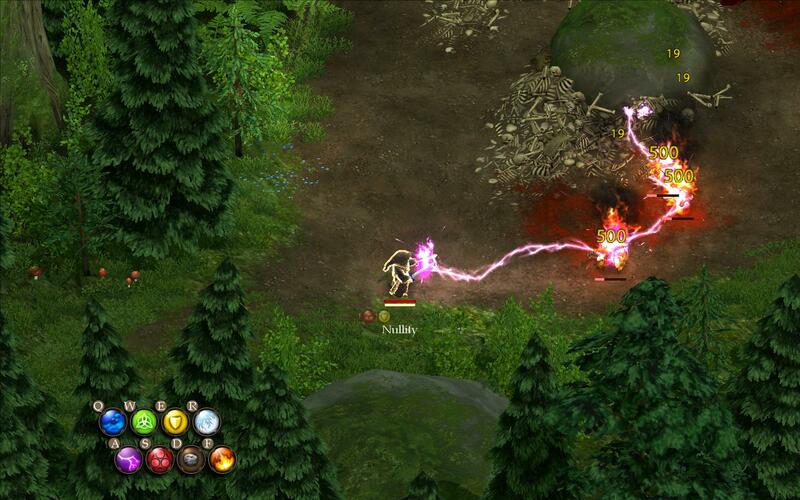 Most of what you will be doing in Magicka is casting spells, and unlike most game you do not have a mana bar or even cool-down; Instead you can cast as fast as you can type. And a great replacement for the mana bar and the related RPG elements that come with it is simple skill at the game; While your character does not get any better the longer it is played the player does. Along with learning more powerful spells you can also learn devastating spell combinations and also simply get faster at typing. Spells are made up of 8 main elements: water, heal, shield, cold, electricity, arcane, earth, and fire and 2 secondary elements: steam, made from combining fire and water, and ice, made form combining cold and water. Most of these elements have other elements that they will not combine with and different effects. For example, electricity will not combine with water or earth, but will cause extra damage to any wet characters and slightly slows the speed of any characters it is touching; Additionally, any mage that is wet cannot cast electricity and takes damage if they try. These spells can then be cast in different ways: in front of you, all around you, on you, or on your weapon and can sometimes even effect the environment (for example freezing or thawing a river). I really like how many elements will cancel each-other out, it really reduces on smashing the keyboard in a panic to cast some spell, I know I have tried this on a few occasional and ended up cancelling most of my magic with opposite elements making the produced spell very weak and useless. Each element also has different states that they will take. Earth is the most “stubborn” and will always take the form of a boulder (with the size based on how much earth you put into the spell), and will make all elements put into a spell along side it follow suit (shield is a special case that I will deal with latter, but assume all general statements about elements do not apply to it); Earth is also special in how you cast it, while casting as a projectile you can hold down the cast button to charge up and launch the boulder with a greater velocity. One example of a interesting and very useful boulder spell is a frozen boulder (Earth + 4*Ice), which fragments on impact doing the most instant damage of any spell, weapon, or ability I have seen. Next up the latter is ice shards that act similar to a shotgun shooting a small barrage of ice in a arc. This form is produced by any spell that has ice in it, and does not have earth. This spell can also be charged, but charging it only has the effect of reducing the arc length. Which brings me to arguably the most useful form of all the beam. A beam is produced by adding either heal or more usefully arcane to any spell and leaving out the two previously mentioned elements. Beams are useful because they instantly shoot across the screen, instantly effecting their targets and are sustainable for a long time as long as the cast button is held. 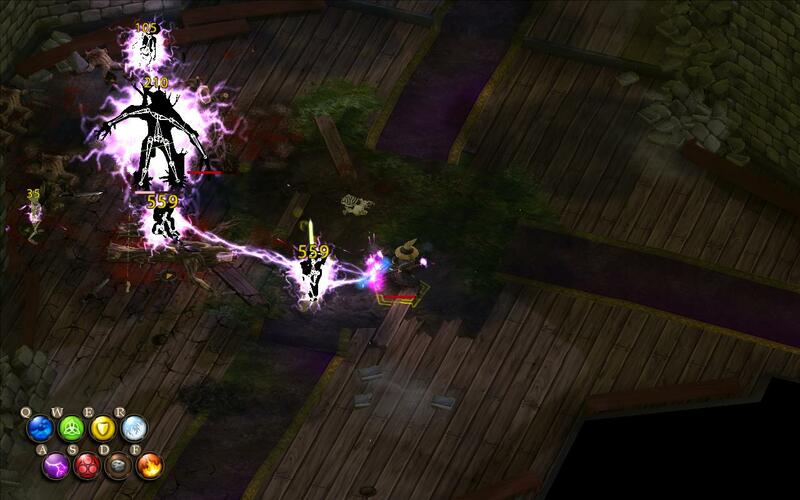 Beams damage-per-second also increases as contact with a character increases, and will do the most damage of any other spell is left on long enough. Additionally, they can be combined by merging two or more beam in a Y shape to produce exponentially more devastating results. My favourite beam spell is a chilling electric beam (arcane + 3*Electric + Cold), because it will freeze or chill the opposition, slowing them down, and the electric will cause massive damage. One interesting thing to note is that if you supply a constant source of cold to a enemy that is frozen (like in the form of a chill beam) they will never unfreeze. Next is electricity that will combine with any of the remaining elements and produce a chain lighting like effect. One strange thing about electric is that their is a workaround to get it to combine with water: which is first to create ice, then add the electric, and finally thaw the ice with more fire elements. And using this workaround a very devastating, but long in the conjuring, spell is wet lighting (Water + Cold + 4*Electricity + Fire). The remaining elements and their combinations are simple sprays. So now to the special case of shield. The shield element is more of a style of casting then a real element and you cannot even add more then a single shield element per spell. It is used to produce walls, mines, and in general effects that outlast the casting of the spell. For example, a mage is almost certainly going to constantly want to keep a simple shield spell on himself, which will completely protect him until it is worn out and will even deflect any arcane beams hurled at him. Additionally, combining shield with any element and casting it on oneself will make them completely immune to that element for the duration of the spell. 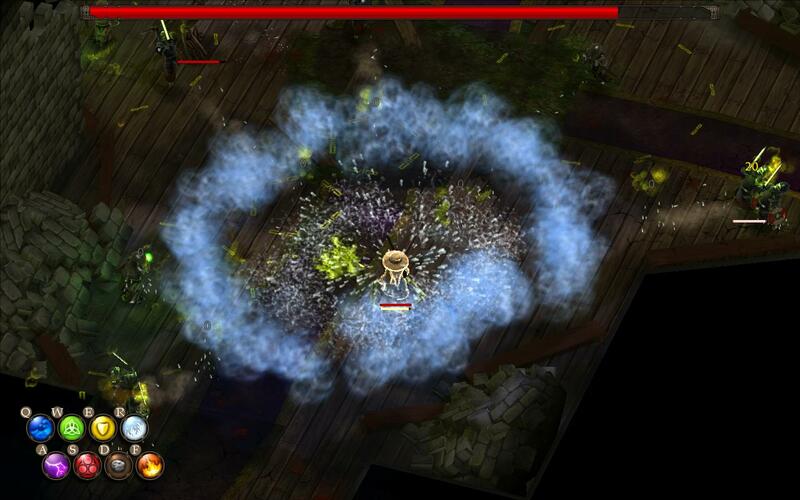 Shield is also used to create permanent walls when combined with earth and can create temporary elemental storms like rain or chill in a small area or even lay proximity mines when combined with arcane or heal. 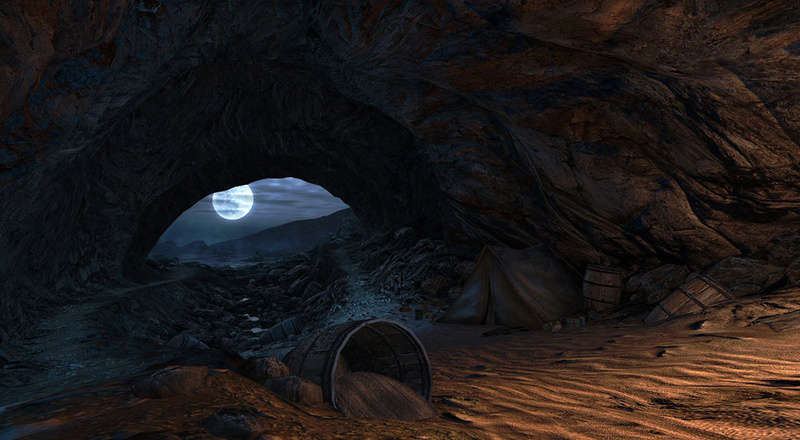 Another great part of Magicka is its presentation. 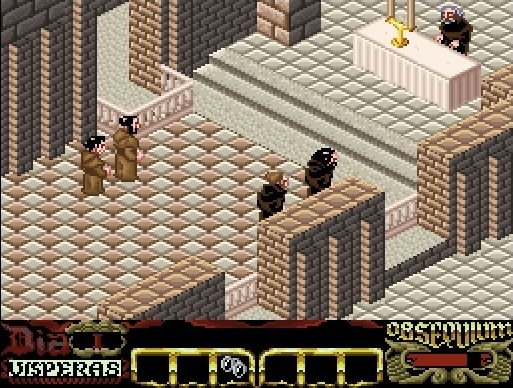 The graphics are isometric and simply great. 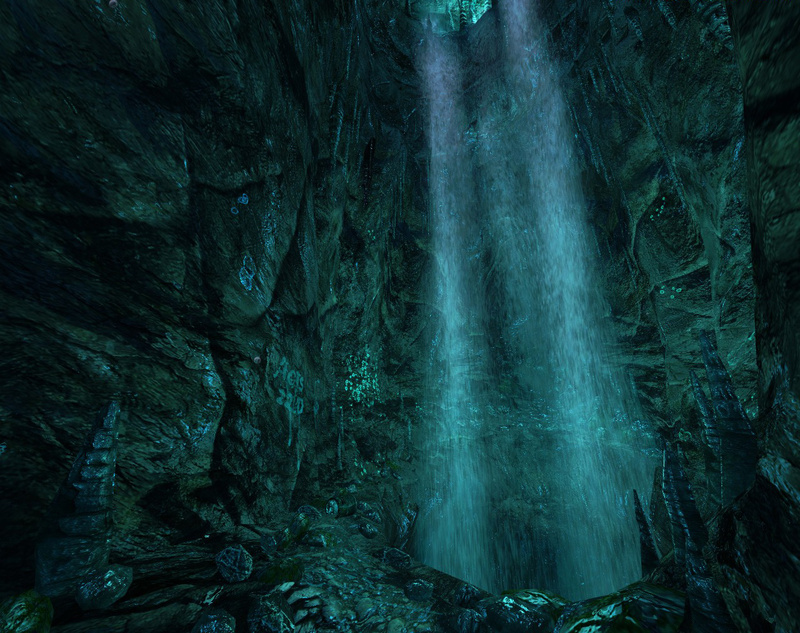 The world is vibrant and the graphics fairly detailed. While the game contains no voice acting and is completely captioned, it does make skillful use of Simlish (aka Sim Speak). But the difference between normal Simlish and this dialect is quite extreme in many situations. For one in Magicka it always sounds realistic, almost as if it could be a real fantasy language, and even contains the right tone for what the captions are portraying. 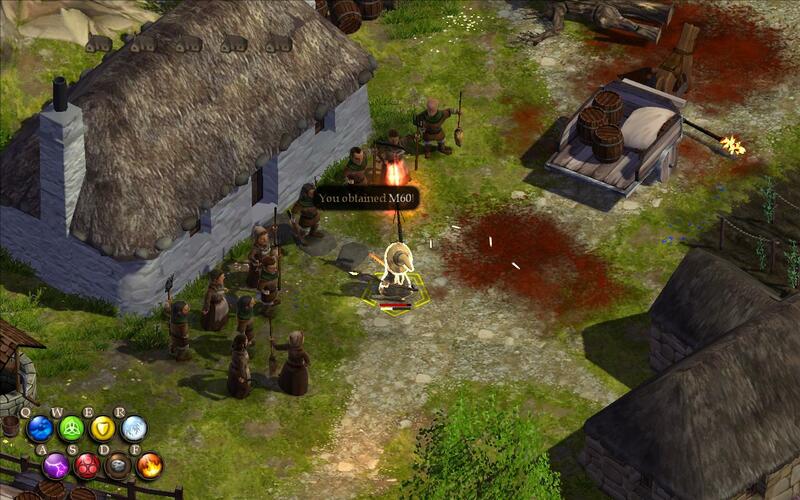 Relevant Articles: My gameplay only review of Magicka. Just posted an article over at Retro-Gaming and Emulation about a long time favorite of mine, Stranger's Wrath (Xbox, 2005). 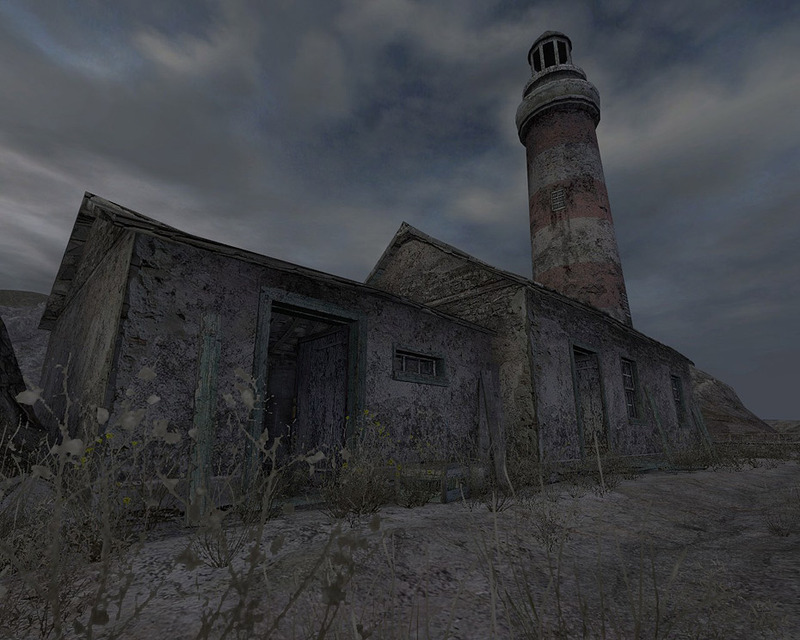 It has recently been remade for the PC as part of the Oddboxx and has a PS3 remake imminent. But, in my opinion, this is one of timeless games that really doe not need a remake (they did not get much wrong with the original, and it doe not feel dated at all). It is a action adventure/platformer/first-person shooter, and it even manages to fill all of these roles without becoming a confusing mess. And heavily mixed in is a great plot with a message very relevant to our turbulent times; A message warning of the evils of capitalism, consumerism, corporations, and industrialization. 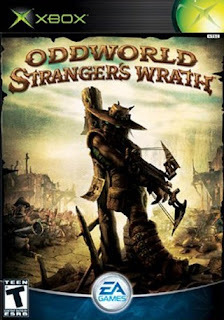 So if you have a Xbox available (or would rather go with one of the remakes), I highly encourage you to checkout Stranger's Wrath. 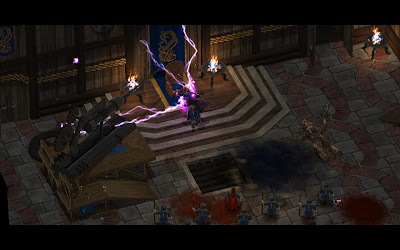 Magicka the newly released action adventure that, accordingly to the trailers and other press releases, features revolutionary gameplay, or more precisely a revolutionary magic system. I am here to tell you that it is very much revolutionary and that it is fun. 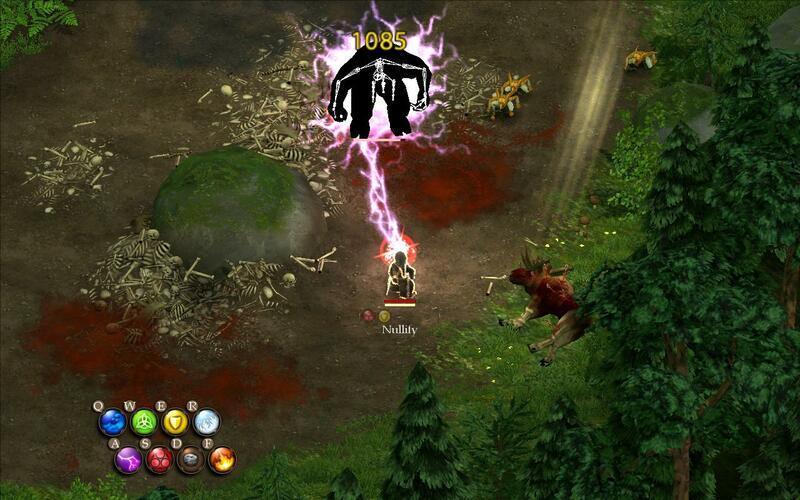 To attack in the game you use magic, which is composed of elements. Their are ten elements, all with their benefits, negatives, opposites, and forms; These elements are water, ice (made from water and cold), steam (made from fire and water), heal, shield, cold, electricity, arcane, stone, and fire. Their are far to many interesting and unique combinations to mention here, but I will supply a few. 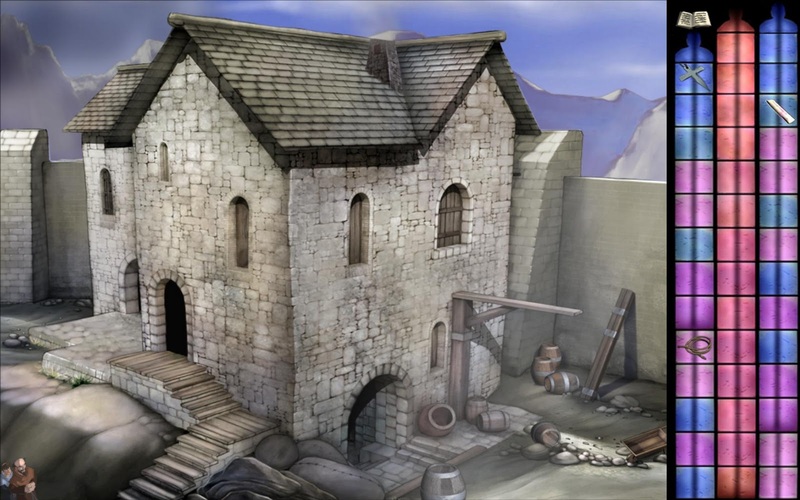 For example, casting water will create a torrent of water rushing from your staff to where ever you point, which will knock-back and wet anything it touches; Add cold and it turns into a barrage of ice shards, damaging anything it touches. On a completely separate note (but I do plan on joining them eventually) stone will launch a boulder, which will cause damage and even continue in its trajectory if it kills the enemy it hits. Now if we add water to this boulder we get a boulder that explodes on impact launching water in all directions and knocking everyone back; Or if we add ice we get a boulder that fragments on impact doing extreme damage to the hit enemy. These are just a small part of the, often intuitive, always interesting magic system. This system has a few, somewhat non obvious from the trailer, impacts on gameplay. For one it is not nearly as easy as one might imagine to actually pull off one of the more complicated and powerful attacks in the middle of combat with enemies attacking you. So while you start off the game with all the elements and spells available to you, you still become more powerful over time as you learn new devastating combinations, spells and simply get better at executing these under pressure. Unfortunately the game is not all great, it has the most bugs of any game I have ever played. Many people cannot even get their paid for copy to start. So far they have released six patches, which did nothing for me but make my game run even worst; But I was able to make it too the end of chapter 2. And their is some hope that they will be able to fix all problems eventually, because it is not like normal game glitches where strange things will happen that are hard to diagnose, for the most part Magicka seems to either work perfectly or crash.